I am really very excited to say these 10 mounted prints and 4 framed prints are now on sale at Cows Lane Designer Studio in Temple Bar. They are like lost little puppies looking for a good caring home. The 10 inch prints are all handmade photographic prints made by my very own hands in the darkroom. 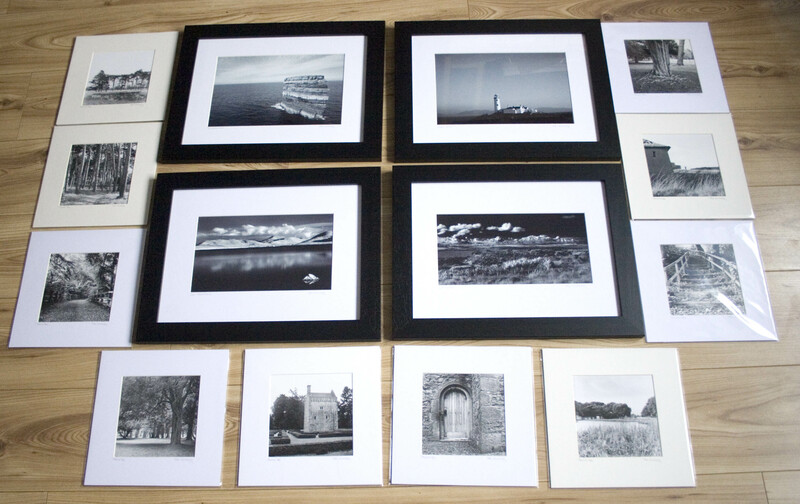 The framed photos are all digital prints and are housed in bespoke wood frames. Check out their website at Cows Lane Designer Studio when you get a chance. Thanks to all the lovely people involved in running the shop for giving me this opportunity. This entry was posted in Photography and tagged Photos for sale. Bookmark the permalink. Hopefully I will get in to town soon to have a look at these! They should be there for at least two months, obviously I’m hoping they will all be gone by the end of the week. If that does happen I will be supplying new images to them. I am just a wee bit curious; do I spy seascapes among the 16×12 prints? Hey Barb, inded you are correct. There are 3 seascapes and one lake shot. None of them have ever featured on the blog because they are not from the Phoenix Park. Don’t let the park know about this but sometimes I take pictures in other places, that’s a secret between you and me. I think it’s high time I started a second blog with shots from outside the park, I feel like I am betraying the park by doing so though. Thanks for dropping by again, always great to hear from you.